the shop at forty was established in 2013 by renovating partners Sharon Walker and Lee Burrett. 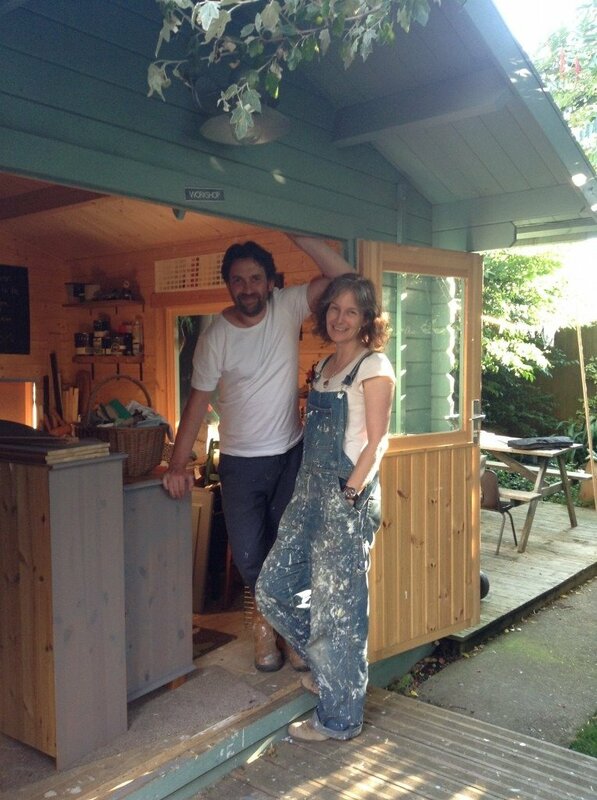 Having always had a knack for upcycling retro curiosities and salvaging vintage pieces of furniture, the pair built a workshop in their garden, painted it turquoise and set about turning their hobby into an online furniture business. Now set up with a permanent shop in St Neots, Cambridgeshire, creative director and shop manager Sharon loves a bit of shabby chic and is never out of her dungarees, while business manager Lee is always on sanding and painting duty.